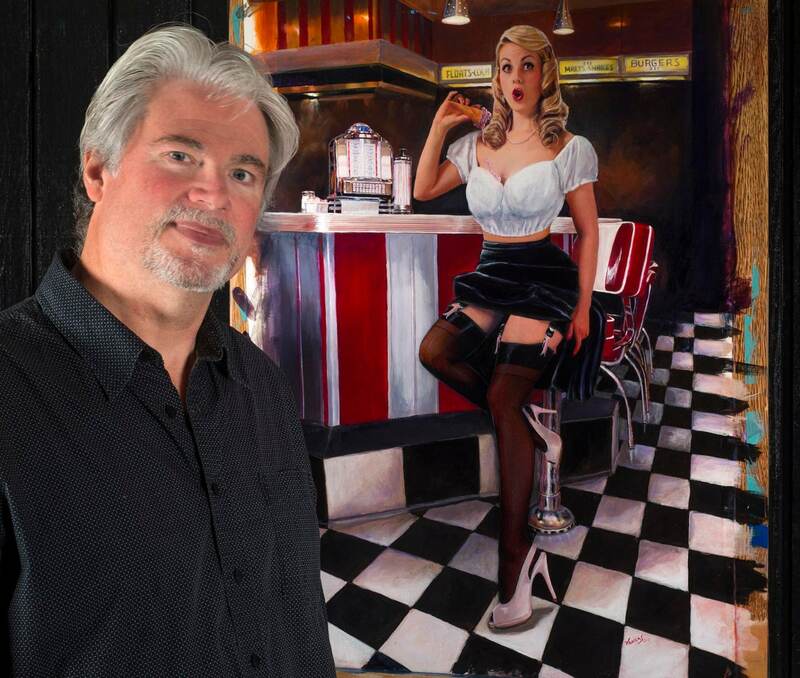 Great art addition for Barber Shops, Hair Salons, Vintage lovers, Dressing, bed rooms, Burlesque and pinup Man Caves too! A signed and numbered print from an original painting by Daniel Vancas, original painted on the historic Elvgren 1930s easel. I classic pinup for today and timeless..
A pinup girl in a vintage Art Deco Barber chair is trying to time her hair. Dressed in Vintage lingerie and looking quiet innocent and sweet. A LARGE CANVAS GICLEE 20X24 APX. (c) 20-15-2016 By Daniel Vancas All rights Reserved.